Robin Mann taught a generation of children the days of the week and the basics of reading and writing on "Romper Room." Robin Mann has never stopped teaching. From her days as "Miss Robin" on the popular local version of "Romper Room," to today, as a professor at Kapiolani Community College, she continues to teach. The local version of "Romper Room" debuted in 1964 on KTRG, Channel 13. "I was the last person auditioned and the first one told that I had the job," Mann says. Then came an intensive training program at the University of Maryland to be certified an official "Romper Room" host. "Romper Room" was created in the early 1950s by Bert and Nancy Claster in Baltimore and grew to air in nearly 100 cities worldwide. 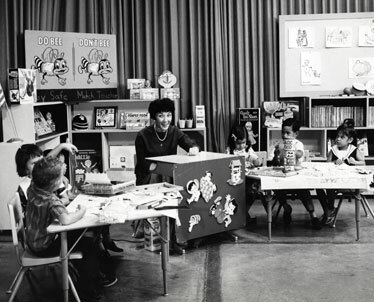 In the fall of 1966, Hawaii's "Romper Room" moved to KHON, where it aired for six more years. Mann kept a busy schedule of taping the show in the morning, teaching school in the afternoons and attending classes at night to earn her graduate degree in education. She was a young mother at the time as well. "Romper Room" aired weekday mornings with six preschool-age boys and girls learning to write, draw, sing, color and play games. Manners (viewers might recall "Mr. Do Bee" and "Mr. Don't Bee") and correct posture were taught, and trips were made to local doctors, firefighters and police. One popular event was "Zoo Day," which Mann and Jack Throp, then director of the Honolulu Zoo, helped organize each year for nearly a decade. In 1966, 13,000 kids and parents attended, but that number grew to 100,000 -- an astonishing figure that proved the popularity of Miss Robin and her show. During the 1970 "Zoo Day," Mann, although she was recovering from an automobile accident, signed more than 5,000 autographs. Miss Robin presided over the "Romper Room" classroom for six years, then ran "Robin's Room" and later launched a show for teens called "Roundabout." In 1972, Mann left the program, partly because she was not able to conform the show more to island living. "The most important things, for 'Romper Room' and for the classroom, are relevancy and teaching in terms that students and children can understand," she says. "I did not feel, at the time, that teaching children things like putting on their snow boots was relevant, and omitting things like May Day and making leis or other things about Hawaii and its unique culture." This led to a new children's show on Saturday mornings, "Robin's Room," launched in 1974, also on KHON. The show included children, primarily ages 4 to 6, and emphasized Hawaiiana, as well as conservation and recycling, which in many ways shows she was ahead of her time. Two years later, Mann launched a new series, "Roundabout," this time on KGMB (also airing on KHET). This show was about teenagers -- Mann had a teenage daughter at the time and was teaching at Kapiolani Community College. It was produced and written by KCC students from the Communications 201 class, in conjunction with Hawaii Public Television. Mann hosted, with a different co-host each week -- including Kamasami Kong, Dan Cooke, Michael W. Perry, Russell Shimooka and many others. 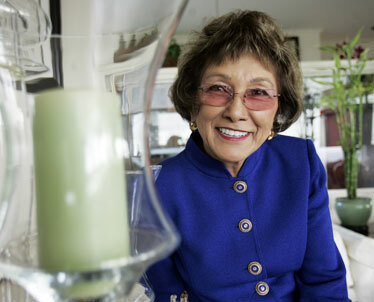 Longtime television anchor Tina Shelton and former KITV anchor Dalton Tanonaka were student producers. The show was the first big break for many locals in the TV industry. "Roundabout" was a creative mix -- a local version of "American Bandstand" with teens dancing to the hit songs of the day. The Aliis, the Society of Seven and Tony Orlando all made appearances, performing and encouraging involvement in the arts, sports, health and fashion. "It really was a great learning experience for all," Mann says. Today, Miss Robin enjoys spending time with her three soccer-loving grandsons and teaching sociology at Kapiolani Community College. "Teaching and learning are my passions," she says. "I have been so fortunate in having had the greatest students ever. I really have been blessed." Video courtesy Robin Mann, KHON. A.J. McWhorter, a collector of film and videotape cataloging Hawaii's TV history, has worked as a producer, writer and researcher for both local and national media. His column runs on the first Monday of each month. E-mail flashback@hawaii.rr.com.